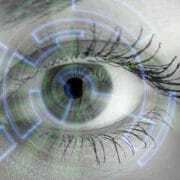 You are here: Home / Lasik / LASIK vs. Contact Lenses: Which Is Better for Me? 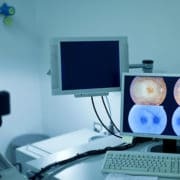 Myopia (nearsightedness), hyperopia (farsightedness), and astigmatism are some of the most common vision problems we treat here at Papale Eye Center. Patients throughout the Springfield area know that they can count on use for advanced custom LASIK surgery as well as other safe and state-of-the-art laser vision correction procedures. But how does LASIK compare to just wearing contact lenses? If you’ve ever asked that question, read on. We’re going to break it down for you right now. LASIK is a laser eye surgery procedure that alters the overall shape of the cornea. By undergoing LASIK, the passage of light through the eyes is improved, focusing properly on the retinas, which is the light-sensitive tissue at the back of the eyes. The best candidates for LASIK are people who are at least 18 years of age, have regularly shaped and healthy corneas, have had a stable prescription for at least a year, and have been free from eye infections and eye injuries for at least a year. It’s important that LASIK patients not suffer from dry eye syndrome, and that they are not currently pregnant or nursing. LASIK is highly effective, which is why it’s so popular these days. 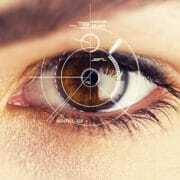 After undergoing LASIK, more than 90 percent of patients achieve 20/40 vision or better. 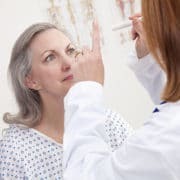 Patients will no longer need to wear corrective lenses if they want to see clearly. LASIK offers a number of advantages over contact lenses. One of the primary advantages is that LASIK eliminates the need for corrective lenses, allowing people to see clearly without glasses or contacts on. This freedom from frames and contacts is great for people who lead active lifestyles. Thanks to technological advances, custom LASIK surgery can now also address issues with contrast, light sensitivity, and poor night vision. Contact lenses are a great standby when it comes to addressing refractive errors. There are different kinds of contact lenses, and each is tailored to your prescription, allowing you to see clearly. Good candidates for contact lenses are people who experience various degrees of refractive error. There are very few people who are not good candidates for contacts since they are simple to put in and take out. 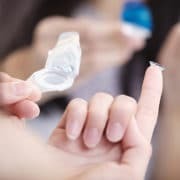 How effective are contact lenses? Contact lenses are highly effective, offering high-quality vision in much the same ways as prescription glasses do. Prescriptions can be updated as a patient gets older or as a patient experiences changes in their vision. 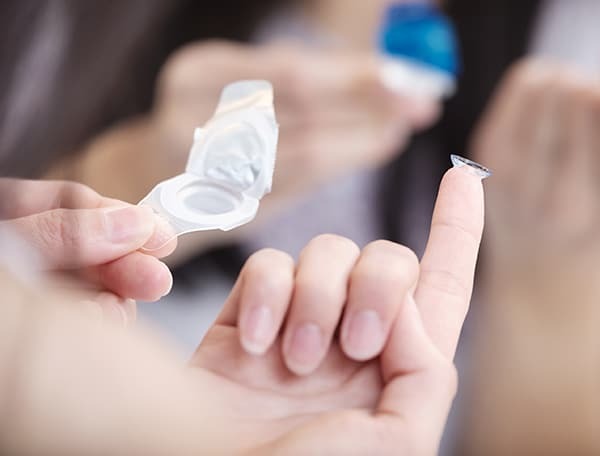 Contact lenses are a non-surgical option for improving your vision, which means that there are no risks when it comes to getting contacts. Since there is no surgery involved, there is also no downtime or recovery when you get your contacts. For some patients, the cost of getting contacts for the rest of their lives may actually be less than undergoing LASIK surgery. As you can see, there are pros and cons for each. That said, we find many patients are quite satisfied by undergoing LASIK given all of the benefits involved. During a consultation at the practice, we can help you make the most advantageous choice for your needs. If you would like to learn more about LASIK surgery and how it can help you see clearly, we encourage you to contact our laser vision correction and eye care center today. The entire team at Papale Eye Center will answer all of your questions and concerns so you can make the best choices when it comes to your eyesight.